For emergency service, call us at 717-249-1535. A plumbing or HVAC emergency can occur at any time. 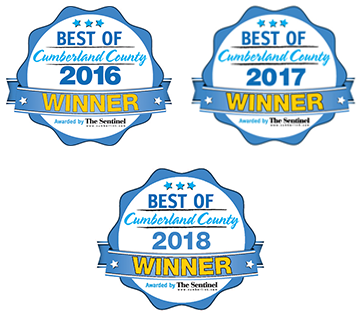 If you own a home or business in Carlisle PA, Chambersburg PA, Harrisburg PA, or the surrounding areas, Tuckey Mechanical Services, Inc. is always ready to help with your emergency heating and cooling needs. Whether it’s 1:00 AM, the middle of the weekend, or Christmas Day, our team of professionals stand ready to serve! Call us right away if you’re without hot or cold air or if you’re having trouble achieving the ideal temperature in a residence or business establishment. And if you’re stuck with a clogged drain, overflowing toilet, electrical malfunction, or burst water pipe, our experienced plumbers and electricians are well-positioned to get things back to normal as quickly as possible. If you’ve experienced significant damage to your home or business due to a storm, fire or other catastrophic events, you need to address the issue right away. Tuckey Restoration, Inc. will help you begin the process of restoring your property to its pre-damage condition. As a member of Disaster Kleenup International, Tuckey Restoration gives you access to national expertise within hours of your initial call. When disaster strikes, tell your insurance company that you prefer to work with Tuckey Restoration, Inc.! Contact the Tuckey family of companies to learn more about our emergency residential and emergency commercial services in Carlisle, PA, and beyond. "The last few days have been very hot. Came home to a non-working AC unit at 11 PM the night before the 4th of July. Initial call to Tuckey at 11:05 PM and received a call from Cody P at 11:19 PM that he was on his way! He was prompt, courteous, AND very professional. He was able to diagnose the unit, replace the faulty part, and get the unit up and running and cooling again in about an hour! Very happy and extremely satisfied with the service from Cody. Amazing service and highly recommend!"